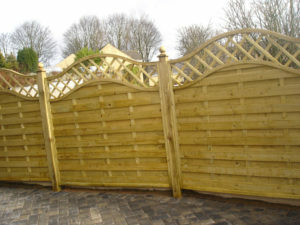 We offer made to measure fencing, installation, repairs and maintenance. 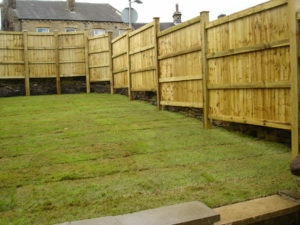 We install general fencing and security fencing, both commercial and domestic. 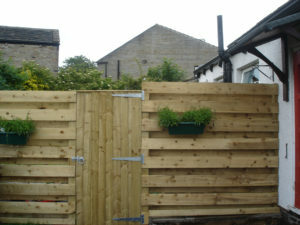 We also include fence posts, gravel boards, gates, ironwork and other necessary hardware. Our decking installations include deck posts and rope, patio decking and stepped decking. Decking is a very desirable addition to any garden, it provides beautiful outdoor entertainment area for entertaining friends, or simply relaxing on your own or with your family. If your garden contains a slope or uneven ground, decking can provide an effective and attractive solution. We are based in Gomersal and we are ideally located to service Cleckheation, Birkenshaw, Birstall, Batley, Heckmondwike, Gomersal, Scholes, Wyke and Dewsbury areas, we also service Leeds, Bradford and Wakefield. Let our expertise, skills and attention to detail make your dream come true. For your free, no obligation quote, contact Bob now to arrange an appointment on 01274 864213 or 07702 804496. Alternatively, you can use our online contact form if you wish. 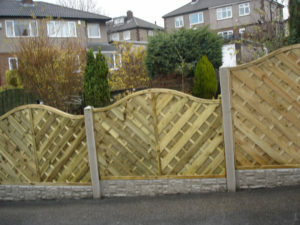 Specialising in Driveways, Decking, Block Paving, Fencing, Tree Felling and Garden Maintenance, B and B Young, is a local family run business, based in Gomersal, Cleckheaton. Established for over 30 years, we are ideally located to service Cleckheation, Birkenshaw, Birstall, Batley, Heckmondwike, Gomersal, Scholes, Wyke and Dewsbury areas, we also service Leeds, Bradford and Wakefield. Let our expertise, skills and attention to detail make your dream come true. We are registered with ‘Rated People’ working together with you, your wishes, interests and requirements guide us while taking into account the existing vegetation, topography, architecture and character of the landscape. When we combine all these factors, you’re bound to enjoy the harmonious results!